Build is free here for the contest and will be removed afterwards. Just wait until the lunar new year sale~ but yeah the second half of the game doesn't exist in the non steam version. I understand. I do want to point out that the quests aren't exactly made to be optional. Yes they can be, but you will miss out on all sorts of bonusus and extra characters. They are basically paralogues and shouldn't be skipped as they were made first and greatly influence the game and the main story pales in comparison. You can unlock more dialogue options but gaining side characters and doing quests and you can get limited items. You will have many empty character slots in battle if you don't do the quests. Also if you didn't do the quest "Warriors' Way" by chapter 3's ending you will no longer be able to do it ever again. Useful characters such as the machinist Astren who uses a gun and Kefaro who can turn into a dragon and wreck things are side characters. A normal fire emblem game is around 22 chapters. Falnarion Tactics is roughly 12 chapters. There are 27 confirmed side quests. So again when you skip the quests, you are skipping about 60 percent of the game. Also the thing about the combat is that there are so many enemies because the premise is for the battles to go as quick as pokemon fights. Not very effective- low damage. Normal attacks, but find the right counter and it's super effective. Also in the later chapters there will be mages and mage killers. Selten may seem like an unstoppable killing machine, but so was Fredrick from awakening. However, you have him in a room against Necromancers and Soulless casters. He is quickly screwed. That being said things were balanced. In chapter 10 on-wards some enemies will have a weapon called a mage killer. It ignores defense and has crazy range. So if you try to attack from afar it will be able to attack you back. The only tome able to attack someone with the mage killer from a far enough distance is the Helformorium. Also, there are so many weapon redesigns and things that changed since then. I feel like you should play the steam version and if these issues still exist for you I'll gladly take a look. *Chapters 0-5 are a cake walk as well as the starting quests. *Chapters 6- 12 are increasingly hard alongside some of the advanced quests. Hello D. Thanks for replying. It is clear you gave the game a try and I appreciate it. I will try my best to answer some of the issues you seem to be having. You mention you want the game to ease the player into it. Yet, you want a challenge at the start. It's a bit like that, but in many fire emblem games. The main protagonist can one shot the bandits. That what I was replicating. Also Momo and Arestol are very powerful late game if you bother to give them tomes and level them up. Also Selten is a bit broken on purpose because all the horseman knights in FE usually are. Also the thing with the maps is this; SRPG Studio needs to have a map of 40x27 at the very least to avoid graphical errors in full screen mode. If it is any smaller it won't fit my 1280x720 resolution and the program can't go into full screen properly. People who use 640x480 (The program's default) do not run into this issue. So the maps are huge and open in order to fix this resolution. This program gives you nothing to decorate with in terms of default assets, so I do what I can. I'll have you know I am not the best at making maps, but my boyfriend is and he made maps for chapters 8,9 and the side quest "The Machinist". But I did the best I could knowing the map limitations. Felm's stats were lowered over time, so he is stronger, but he can still be killed. The only indestructible units in this game are Selten (early game and against physical units) and Kefaro the boy who transforms into a dragon. Not actually in this build though. You mention that the game is unbalanced and that it is unacceptable in a tactical rpg. You are forgetting Final Fantasy Tactics one of the best SRPGs of all time. It was unbalanced as hell and thats what made it great. The enemies also in the future do get plentiful, but their stats are increased and pose a huge challenge. I've seen different people play the game and I swear they have a tough time on some missions. But, if you are an experienced player you won't see much of a challenge until chapter 6 where it can be a bit brutalish from then on out. Again chapter 6 isn't in this build. Lastly the story is supposed to be a bit of a piss take on how fire emblem's story is. I mean, was FE fates really all that great in story? But, regardless that part with Felm ripping off his sleeve was intended to be overly dramatic and unnecessary. If you played my games, some of them are serious, but don't take themselves too seriously sometimes breaking the forth wall. -The story doesn't start out strong, but definitely picks up after Momo becomes the main character. I'm not good for a strong start with my stories, but for interesting twists and out of left field turns with strong endings. -If the game ever gets too challenging for you you can always do the side quests. New ones become available over time and some disappear over time. -This is my only game where there are so many females, other then the Solenars Edge series. Which is like Fire Emblem in having so many units to manage, but in a turn based JRPG style. I suggest checking them out if you have some time. -This build is so bad in comparison to the one on Steam I don't really like looking at it lol. But, thank you for playing and I hope you enjoyed yourself. I finally got around to playing your game for a tiny bit. 1. The tutorial was good. Informative and engaging. Very nice. 2. The game was using the 640, 480 graphics and used them well. which is a good thing. Not sure if on purpose or not or inspired. 1. Even on easy the bandits at the start are a bit unfair. 2. The gallery had one of the pictures as the background of the gallery. I found that a bit weird. you should have made up a name and changed it later. It would have sounded better. Verdict: Overall the game was cute and enjoyable and I believe it has a bunch of potential. and kinda feel grossed out by it because it's no where near as good as the Steam version lol. So it would serve as a terrible demo in regards to the final product, so definitely removing it after. I'm also writing to let you know I'll try to play your game this weekend. This comment is refreshing. It's not something I hear a lot. Not something I am used to. It makes me happy. I'm not sure I'd win, that's not the goal. The goal was to just try and get some exposure. I appreciate everything you've said and it puts a smile on my face. Thank you. Whoever wins this contest, I wish them the best of luck. But, if by some chance that I were to win. Everything would be replaced with all original assets. It's in early access right now, so the polish isn't there yet, but working on it! I get what you are saying. The enemies are in a large quantity because there aren't just 5 chapters. The quests are extra chapters that are like paralogues in Fire Emblem. Not all the enemies are too many. Also the fights are mean't to be short and sweet. The main character can practically one shot everyone. If you have too little enemies and a party of one shot characters pretty much. The game will go by very quickly. You won't have a challenge. If you wanted to be eased into the game in the start, do the lvl 1 quests mean't to level your party and get rewards. This game isn't mean't to just skip through all the quests and do just the story. It's not as fun that way. Also, I agree the dialogue can be a bit confusing, however it's easier then just a one window dialogue system where you forget what was said last. Keep in mind the program I am using to make this game was made in August so much of the functions and stuff aren't there. Please download on steam to play. Earlier on, the chapters prevent perma death for the main characters. during missions and you can revive them with an item. This item is a finite source. Once the item is gone forever, you will no longer be able to use that unit. Resulting in perma-death. Some characters can again only get injured in the beginning and if Felm dies, it's an instant game over. If you want an updated version of this game where it's a bit easier yet still challenging and has more content and stat changes. This game is canceled and will never be released. I made this game a year ago and decided to upload it here just now. The side quests not only expand your gameplay, but make the main story easier by giving you great equipment and bonus points to level up your characters. They are definately a good thing to fall back on if you cannot beat the main story. Not to mention gold and exp by killing enemies. Sometimes the Antivirus will do this especially Avast. It's annoying. But rest assured I have no idea how to make a virus nor do I want to. Answer the call and fight! Choose your side-kick and form a team from over 60 playable characters as you fight to become the greatest Hero in all of Alcornagia. Here is more information about my third and upcoming game; Luvocious! 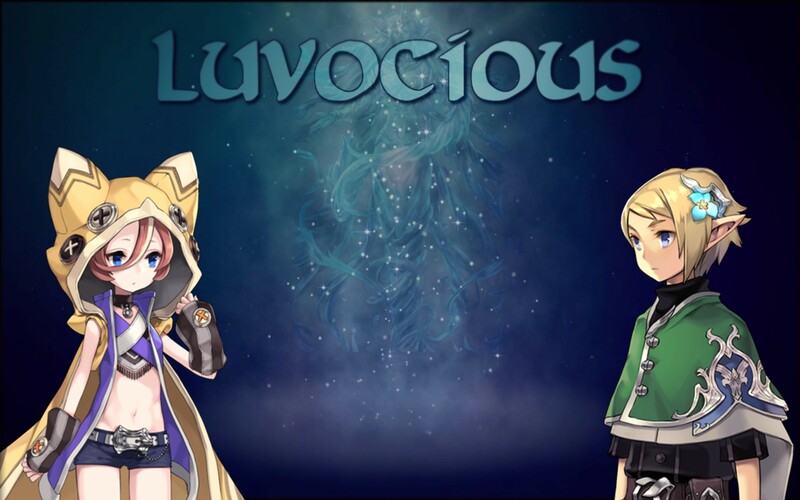 Luvocious is an RPG with three different main characters traveling across three different eras with three different play styles. My second game to be released via Itch.io! I hope you enjoy this one as well! 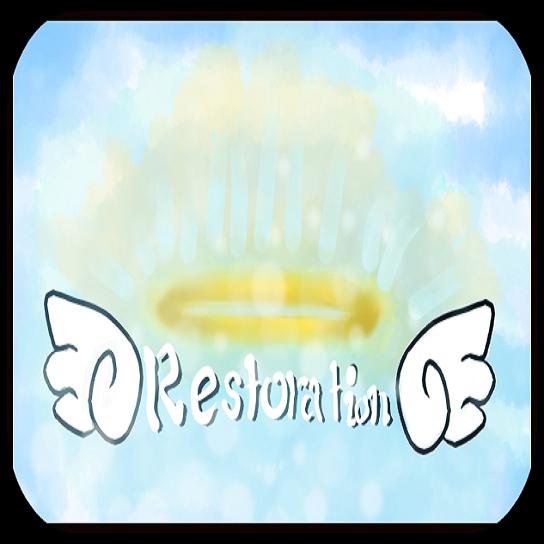 Restoration is about a young boy named Oliver who has the power to purify nightmares; negative emotions manifested into darkness. Alongside his guardian/sister Penello, the duo are tasked with purifying the darkness in people's hearts. Solenars Edge Rebirth has made it to Itch.io! I really hope you enjoy the game! 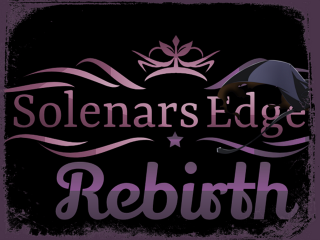 Solenars Edge Rebirth is about three orphans tasked with creating an ancient gem in the shape of a sword and going on a quest that transcends the boundaries of time alongside a cast of unforgettable colorful characters.